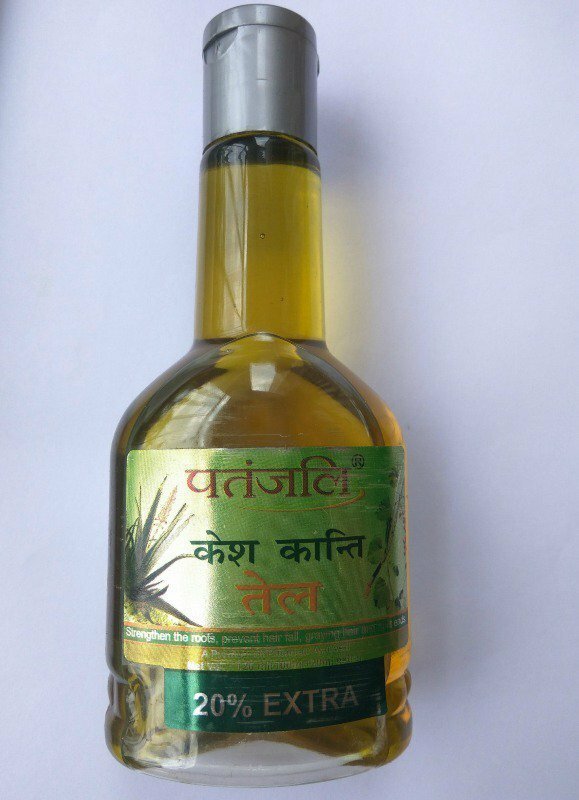 Patanjali Kesh Kanti Hair Oil - Yay or Nay ?! Home ReviewsBeauty Patanjali Kesh Kanti Hair Oil – Yay or Nay ?! Patanjali Kesh Kanti Hair Oil – Yay or Nay ?! Well, guys, I am back with my next herbal product review. We girls are so cautious about hair. We often see our hair as the reflection of our identity. Beautiful hair enhances our personality and our natural beauty. Due to a lot of factors, we may suffer from problems related to our hair. So it’s very important to pick the right product. I heard a lot about this Patanjali Kesh Kanti Hair Oil so thought should give a try. And guys, really I have something good to say about this Patanjali Hair Oil. Keep on reading! What is it for and who is it for? Patanjali Kesh Kanti oil is good for hair. It contains coconut oil as a base ingredient which is good for hair. Nourishes the scalp. People searching for a good hair oil should try it. The product comes in a transparent bottle. You will find the bottle inside a cardboard box. It has a flip open cap. You need to open the cap to pour out the oil. The nozzle is small, which helps to pour oil drop by drop, not too fast and not too slow. Take the required quantity of oil and massage gently over hair and scalp. Leave for overnight, wash in the morning for a better result. You can also apply it just before a few hours of your head bath. I found the bottle very convenient. The texture of the oil is more or less same like other oils. Slightly on the thicker side. I like the fact that it has coconut and sesame oil as the base ingredient. The fragrance is fine, I didn’t like it that much. It feels overpowering. Though I have friends who liked the smell a lot. So, it varies from person to person. Yes, it has a total herbal smell. Provides nourishment to the scalp. Head feels light after applying. Oil is not sticky like other oils. Yes Of course! It’s a good product and I really liked it. Please try it. Ponds Daily Face Wash : Worth Your Money ? And the effects are good too. But I’d buy it if the fragrance was better. But one thing I would like to say.. This oil has BHT which is not considered as a safe chemical..